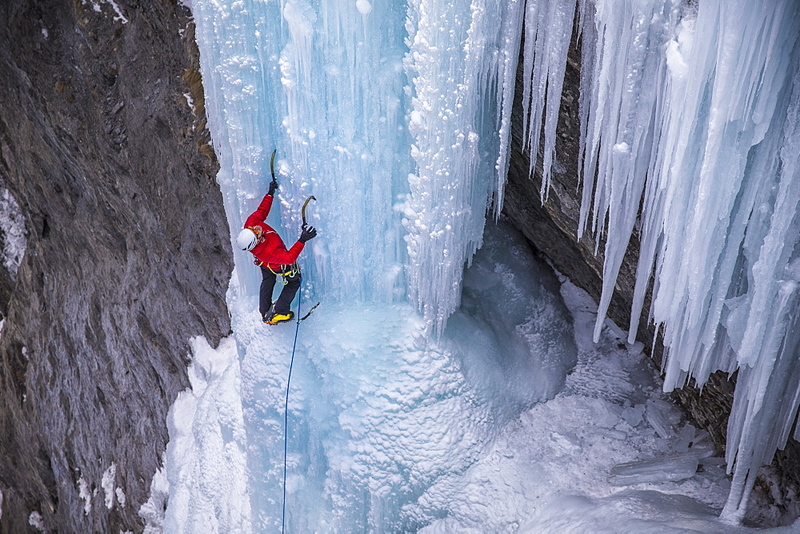 A man in a red jacket is climbing on ice. 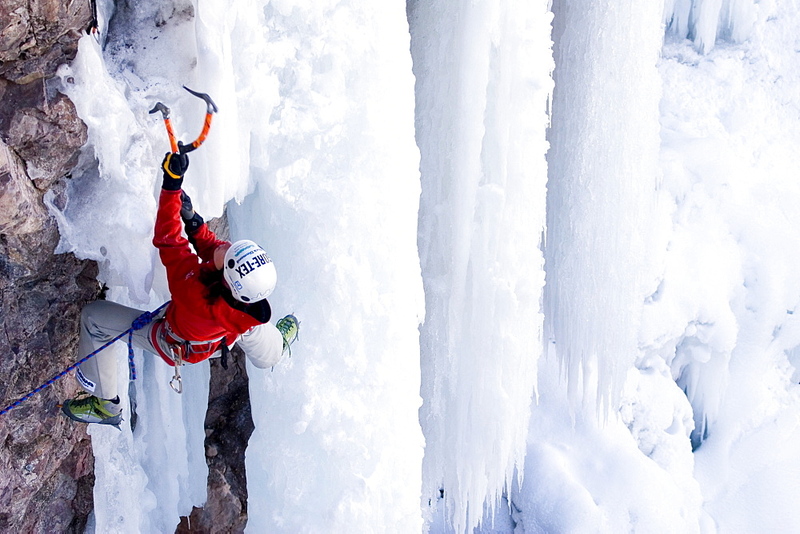 Thinking of taking up ice climbing? At first you need to steer clear of chandeliers. Maybe groom the mushrooms. Make sure you know your bollards from your belaying, and your abesiling from your Abalakov anchors. No, we wouldn’t call scaling verical ice a casual hobby. Most who prictice this extreme sport come at it with a history of rock – climbing or mountaineering behind them, It takes a great deal of strength, precision, and nerve – especially on the most extreme vertical or overhangine ice falls that offer nowhere to rest – to conquer the chilly challenge.